The cloud business model is doing well. Public cloud services are generating revenues of over $110 billion dollars a year and software as a service (SaaS) hit around $15 billion in 2012. Infrastructure as a Service (IaaS) is also growing at a pace. In some ways cloud computing is considered to be a little abstract and mysterious. It is true to say that many people are deeply suspicious and even afraid of it. However there really isn’t anything mysterious about it at all. It is simply a computing model that is based on either a per- user or subscription system that provides real time computing services on remote servers. The basic cloud computing services are software as a service (SaaS); platform as a service (PaaS), and Infrastructure as a service (IaaS). Currently the main cloud applications are email, online data storage and online file storage. For users cloud computing allows hardware, software and management to be outsourced reducing the need for capital investment and investment in specialist IT manpower and maintenance. The model works from a commercial standpoint as it is far more efficient that the traditional model of on-premise and in-house computing. It is so efficient that it not only serves the clients of cloud computing providers a huge amount of money, it also enables those providers to establish successful and profitable business. In terms of games theory it is a win-win model; there simply aren’t any losers. At least that is what everybody hopes. The model of cloud computing that seems to be the one that is most talked about at the moment is hybrid cloud computing. A hybrid cloud is a fusion of more than one cloud, and the various clouds can be public, private or community clouds. Although these are distinct in that they are identifiable entities, they are also connected together. The primary advantage of hybrid clouds is that they provide multiple deployment models across cloud services. For instance, public cloud computing may be used on a temporary basis in order to satisfy a specific requirement. This might be what is termed as ‘cloud bursting’ which is when an application running in a private cloud requires additional resources which can be obtained by bursting into a public cloud. This means that the additional resources are purchased only for those occasions and time scales over which they are needed. However the cloud develops, and there are many different theories regarding how and why it will develop, there is little doubt that it will become even more important than it is today. It is not without its problems; current problems will be solved and new problems of which we have not yet even glimpsed will emerge, but they will also be solved. To see the future of the cloud through the eyes of one of its more important players, visit Mimecast.com. 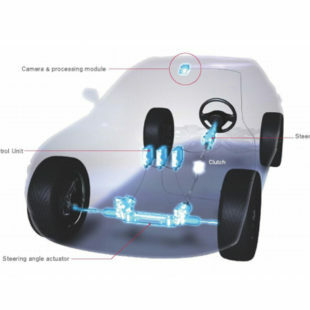 What exactly is Steering-By-Wire? Let's find out!